Los Angeles police took Samuel Little into custody in September 2012 over a narcotics charge. When they ran his DNA, detectives found it matched DNA linked to three then-unsolved homicides. The detectives reached out to the FBI’s Violent Criminal Apprehension Program, which began to discover a violent pattern, including murders of women across the United States. Little was convicted in Los Angeles in September 2014 for the murders of three women and was sentenced to life in prison. Ultimately, he confessed to 90 murders, but many of his victims remain unidentified. He typically preyed on vulnerable women, including prostitutes and drug users. Often the deaths were not seriously investigated at the time–or not even classified as homicides at all. Little, who had been a boxer early in life, would knock out and then strangle his victims, so there were no obvious stab marks or bullet wounds. Now Little is being held in Texas, and is cooperating with the FBI on identifying the final victims. 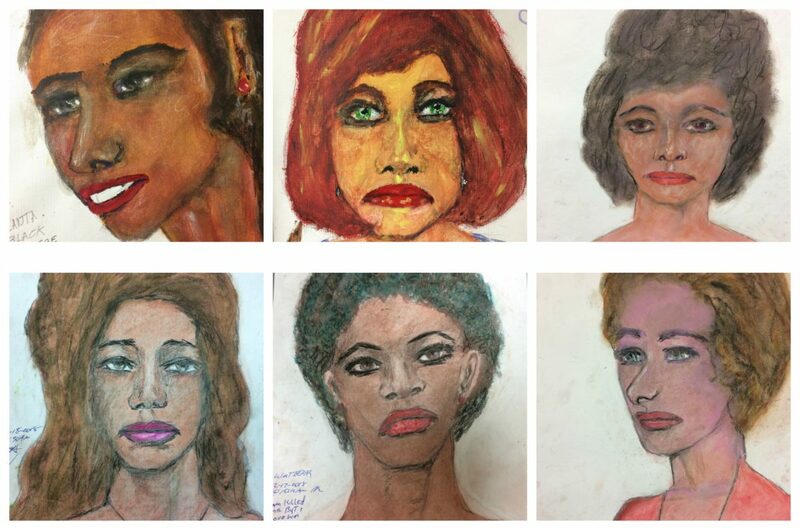 Relying on his memory of each slaying, he drew a series of vivid, haunting portraits, which he provided to the FBI, along with the race, age, and location that each woman was killed. Sixteen of these drawings can be seen on the FBI’s website, along with notes about other unmatched confessions. The FBI hopes that by releasing the images and details, local law enforcement agencies or the general public may be able to make a link between a woman who went missing at the time or a Jane Doe body that was found and ultimately provide some closure for the families of the victims. 8 Spooky Places to Explore in L.A.